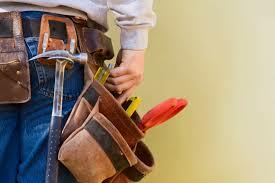 FBC Funding offers a great second mortgage business loan for home improvement contractors. The construction industry lost more than 40% of its workforce between 2006 and 2011. The Great Recession caused not only job loss but lenders to shy away from lending to small businesses in that industry. When the economy recovered from The Great Recession, the gap in the workforce remained and lenders have still refused to lend to many home improvement contractors. Even though the workforce remains low, industry revenue continues to grow. The demand for new housing and home remodeling coupled with a smaller workforce equals great opportunities for small business owners in the home improvement and new construction industry. Home builders, architects, plumbers, electricians, heating and air conditioning contractors as well as drywall installers, flooring installers and the like all stand to profit from current market conditions. FBC Funding’s Second Mortgage business loan program can provide the capital needed to buy materials, hire workers, and market your business with responsible rates and transparent terms. If your business needs capital quickly to start new projects, FBC Funding can deliver funds faster than traditional lenders.